Starting your own helicopter business is a serious decision because of the costs involved. To this, there are different options to look into, including sightseeing and charter business. Another idea is to work with a government agency to fly employees to different locations for environmental preservation projects, surveys, and forestry research. Showcasing beautiful scenery, attractions, or holidays is yet another option for your helicopter business. There are two ways to go about this – you can either apply for financing or lease the machine. There are additional costs to cover, including marketing, office space and equipment, fuel, and insurance. 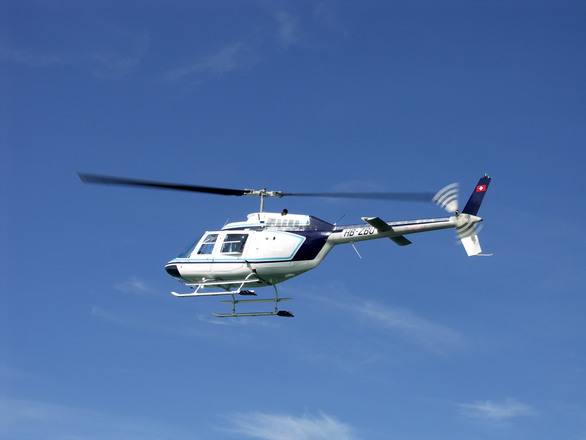 To start a helicopter business, you will need a helicopter policy and business liability insurance. Check with an aviation insurer and commercial insurance agent for these. Then you will also need certificates such as the commercial pilot aviation certificate. If you plan to apply for financing, this is the time to think of a good business plan to prove your case. You may want to include cost estimates, factors that affect the operating costs, and cost categories and characteristics. Other costs to include in a detailed business plan can be spare inventory amortization, unscheduled repairs reserve, unscheduled reserve for line replaceable units, and overhaul reserve. Maintenance costs also include materials, parts, line maintenance labor, and oil and fuel costs which are associated with the proper operation of the helicopter engine. Keep in mind that there are variable costs which depend on level of activity. Fuel consumption and costs are two examples. Finally, it is a good idea to include a list of operating cost categories such as major component overhauls, service life-limited items, engine restoration, inspections, mission and optional equipment, air worthiness directives, and sources of cost estimates, among others. Sources of estimates can be industry periodicals, independent sources publishing cost estimates, manufacturers’ estimates, and operators’ cost history. Staring your own helicopter business can be a costly endeavor and depends on factors such as existing balances, payment history, business credit score, and others. If you have stellar credit and are a regular customer at your local credit union or bank, then you have a good chance of being approved for an unsecured loan (read more). Creditworthy customers are regarded as low-risk and are offered more financing options. The good thing about unsecured loans is that this is a low-risk option for borrowers (read more). You are not required to offer a valuable item as a guarantee of on-time repayment. A second option is to apply for a secured loan or line of credit and offer business collateral. This can be inventory, vehicle, equipment, or anything else of value, depending on the loan amount. Secured financing is also a good alternative for borrowers with less than perfect credit and allows them to boost their rating with timely payments (read more). Other options include peer to peer networks, angel investors, and government-sponsored loans with affordable rates. Once you find sources of financing, think of aircraft selection, airport location, and other details around your helicopter business.